Do you want to experience the “more” of life while creating a satisfying and prosperous life? 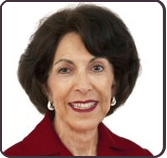 Joan Sotkin, founder of Prosperity Place® has spent the past 30 years examining alternative ways of dealing with life on many different levels. She doesn’t believe that it is possible to separate career and/or business development from personal growth because who we are expresses itself through whatever we do. The result of her search for physical, emotional, spiritual and financial comfort can be found in the pages of her website.